It takes a lot of chutzpah to be a small business here. Click here to learn more about Captain Max and how we’re helping his business thrive. As a professional carpenter—and boat captain!—Captain Max knows the importance of both craftsmanship and working with a team you can rely on. 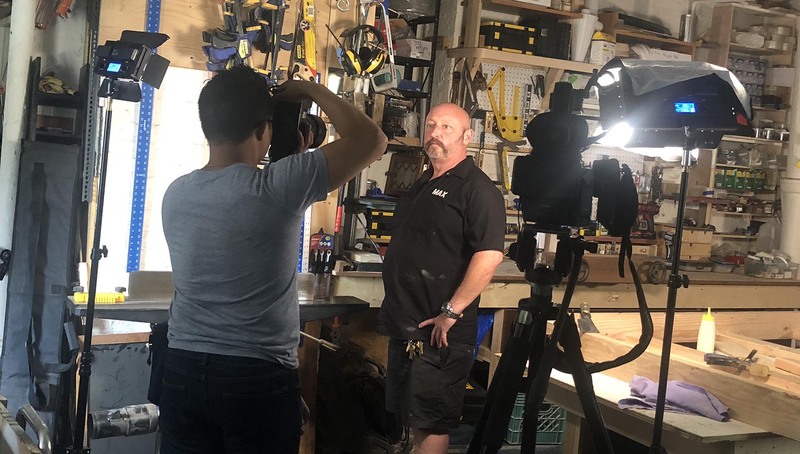 He’s built additions and created carpentry installations for restaurants and stores across the city, and many of them are repeat customers. When you like the results, the workmanship and the dedication to the craft, it just makes sense. That’s what drew him to Townsquare Interactive. From the start, we’ve worked to drive traffic to Captain Max’s website and keep him competitive in his local market. Captain Max is the first to admit he doesn’t know a thing about how to build or maintain a website, and we make sure he doesn’t have to. Every month, his digital marketing specialist runs reports on his website visits and goes over the numbers with him to keep him informed. Beyond that, if Captain Max wants to make a change to his website, all he has to do is send an email or place a quick call. That’s all there is to it. Want to take managing your website off your plate so you can focus on doing what you love like Captain Max? Click the button below to get started. Leadership Series: Is the Grass Really Greener?